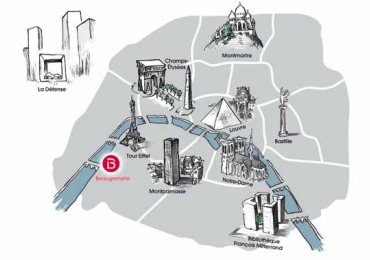 The country's bid to buy property in the heart of the City of Light. Is Apple’s $30 Billion Irish Tax Planning Scheme About to be Shut Down? China’s quest to diversify its trillions of dollars in foreign reserves away from U.S. government debt continues. Its latest foray: A Parisian shopping mall in the shadow of the Eiffel Tower. China’s State Administration of Foreign Exchange, which manages the government’s $3.66 trillion in currency reserves, is one of five potential bidders for the soon-to-open Beaugrenelle development, a three-building complex in a prime location on the right bank of the Seine, according to Le Figaro. French real estate investment trust Gecina is the majority owner of the mall, which has taken about a decade to build and develop, and is expected to fetch about 700 million euros. Shops include high-end fare like jeweler Baccarat and Petit Bateau, known for their precious (and expensive) kids-wear, along with middle-class foreign favorites like Marks & Spencer, a Chipotle Mexican Grill and a Bermuda Onion restaurant. Perhaps not coincidentally, Chinese tourists are among the biggest-spending shoppers in Paris. According to the French government’s “Do You Speak Touriste?" site, "Les Chinois" spend 40 percent of their travel budgets on shopping, mostly for luxury goods. The investment fund managed by SAFE, as it’s known, recently overtook Norway’s massive oil wealth fund to become the largest sovereign fund in the world with $743 billion in assets, according to Esade, a Barcelona business school. SAFE, Esade notes, is "characterized by unyielding opacity," though it is universally agreed that its investing mission has been to diversify from U.S. Treasuries for years. Earlier this year, SAFE opened an office on Fifth Avenue in Manhattan to make “alternative investments” in the U.S. and its Hong Kong-based affiliate SIC has made several ill-timed acquisitions in British banks and European oil companies. Le Figaro seemed somewhat aghast that China’s government might actually buy property right in the heart of Paris. “A few years ago, the assumption seemed preposterous," the paper wrote. "Today, it is very plausible."